One evening, T wanted to go on a dim sum spree but didn't feel like dining in our usual places. Problem was we pretty much exhausted almost all of the Chinese restaurants in the nearby Alabang area and then we remembered the newly opened Thomson Road at the Molito Commercial Complex. We check out the menu first and almost didn't go in because there are only four items in the dim sum menu. 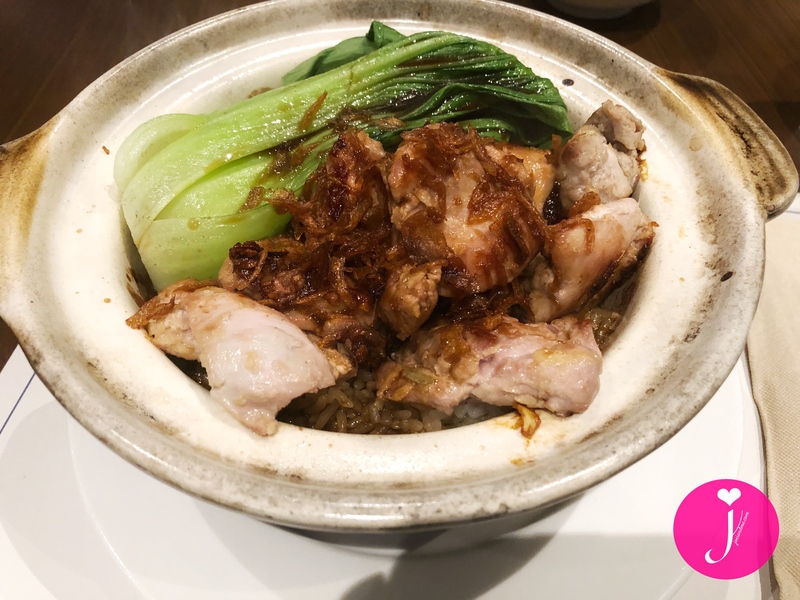 But when T saw the clay pot rice items, he suddenly changes his mind. 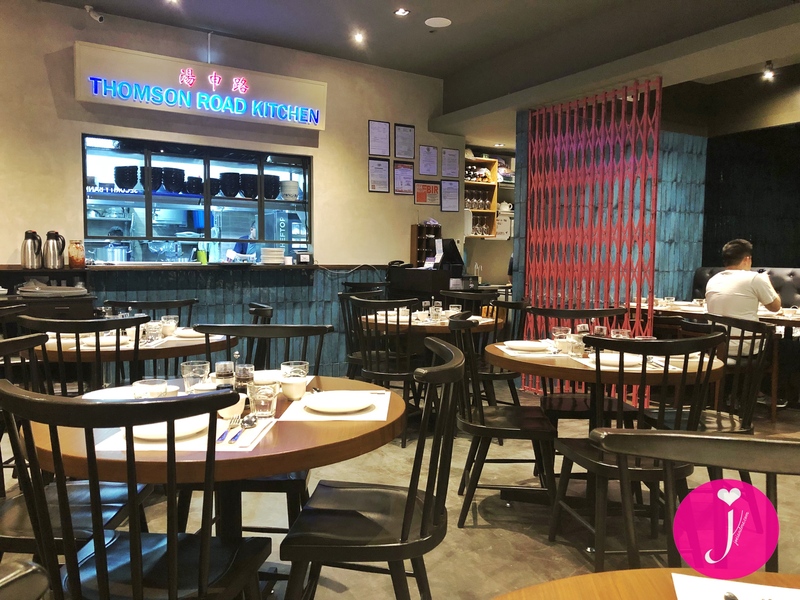 Going through the rest of the menu, we figure that Thomson Road's dishes are a mix of Chinese and Singaporean dishes with a hint of Filipino influence, which makes sense since Thomson Road is a street in Singapore and the owner seems to be a Filipino-Chinese chef (we saw him entering the kitchen to assist when there were a lot of guests coming in). 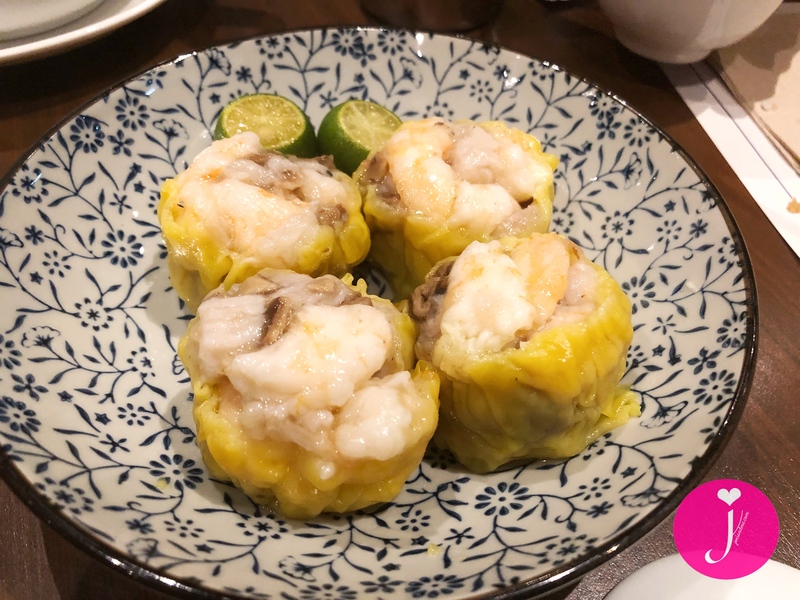 T still wants dim sum so he orders the Shrimp Siomai (PhP188+) which has shrimp, pork, and mushroom. It comes out in the usual four-piece-in-a-plate set up but one siomai is very big and packed with meat. 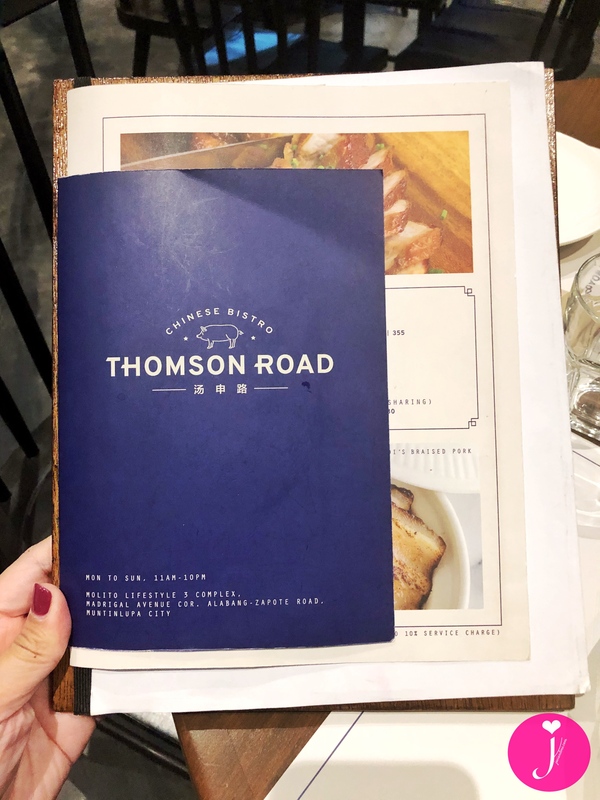 For our main, I order the Ginger Chicken (PhP325) which is, as the name suggests, chicken and ginger in claypot rice while T orders the Thomson Road Roasted Pork (PhP355+) which is pork belly roasted in Thomson Road's special marinade in claypot rice. You can also opt to have these items in egg noodle soup. T and I shared the meat from both of our claypots with each other so I got a taste of the roasted pork too. Both the chicken and the pork is flavorful and we like how the sauce is also mixed with the rice. And because the claypot is very hot when served, you end up with crispy rice as you reach the end of bowl. T has been on a milk tea binge for the last few weeks so he orders the Iced Milk Tea (PhP145+). 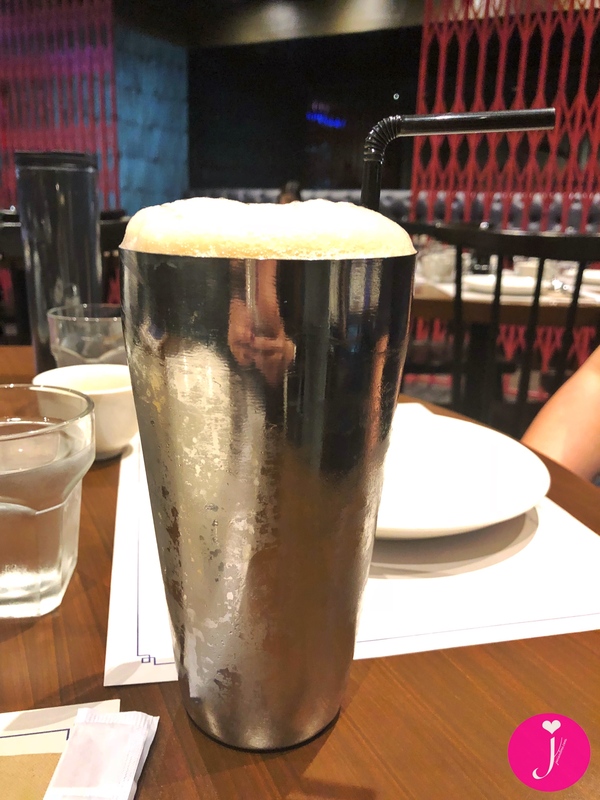 The serving is very big unlike in other Chinese restaurants but I wish they would consider using reusable straws. Cool interior, especially the red 'gate'. Generous servings of rice, meat, and even their milk tea. Limited menu choices (but they just opened so there may be more menu items coming up soon). Chili is not that spicy. 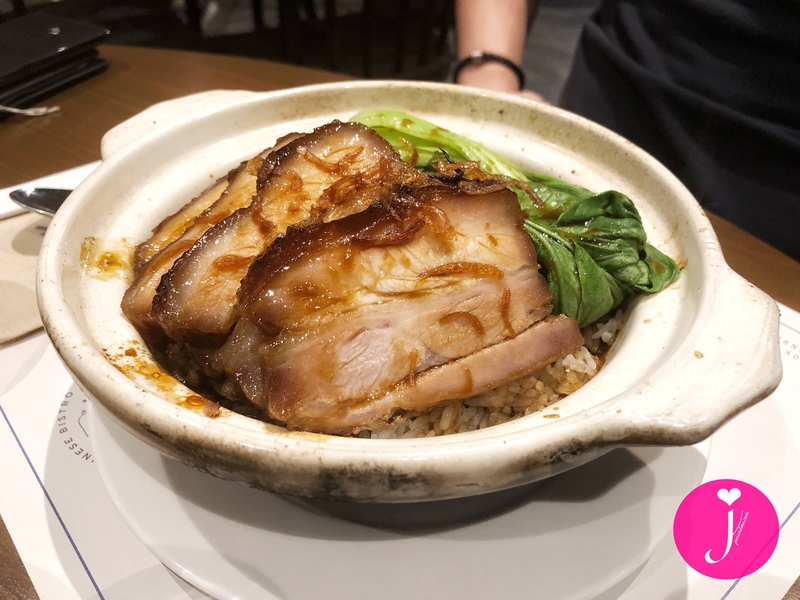 If you're looking for a quick but good Chinese-Singaporean clay pot rice meal, head on over to Thomson Road Chinese Bistro in Molito Alabang. That being said, T and I look forward to more dishes to be added to the menu. We'll be back for that!